Hello everyone! My name is Rose Gomez - I'm the newest Producer on Pillars of Eternity. I'll be handling a lot of the Kickstarter related duties for the game from here on out. I've been working at Obsidian Entertainment for a little over three years now. My previous titles include South Park: The Stick of Truth and the Fallout: New Vegas DLCs. I'm thrilled to be able to work on Pillars of Eternity and can't wait to interact more with all of you in the coming months. For this update, we've got some awesome new character, area, and concept art that we're excited to show. However, before we get to the art, we wanted to officially update everyone that we are looking good to release Eternity by Winter 2014. So, look forward to getting your hands on Pillars of Eternity later this year. 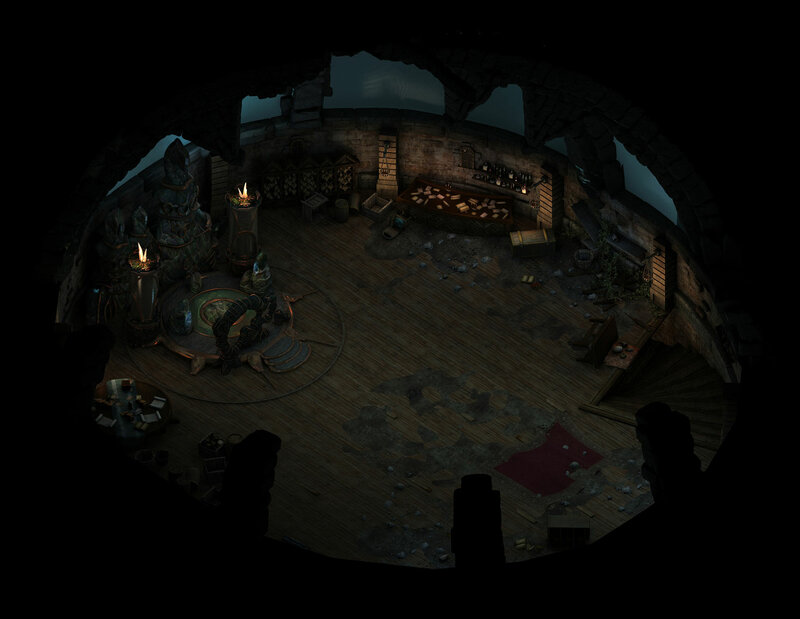 Our next update will be all about Pillars of Eternity lore by Eric Fenstermaker. Our designers are working hard to implement the designs that our higher tiered backers have come up with. If you have a survey that needs to be filled out, please do so by March 31st. It's important that you get your surveys completed by the deadline because we are closing in on Alpha quickly. The team needs ample time to get your content into the game. We can't guarantee your in-game contribution will make it into the game if you are late. This includes inn/tavern designs, adventurer party designs, portraits, NPCs, and items/weapons, so make sure you get your idea in before the deadline! You can fill out your surveys on our Backer Portal after you've finished managing your pledge. They can be found on your account page under the Surveys tab. 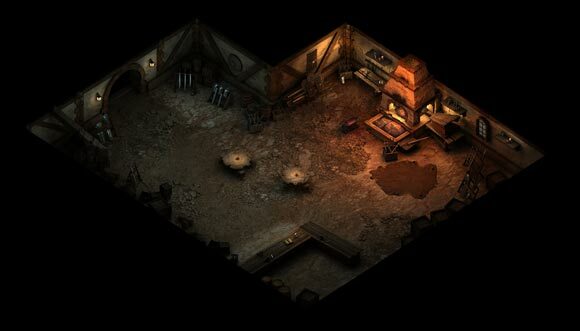 Worried that your design won't fit into Pillars of Eternity lore? Not sure if you want that innkeeper to be an Orlan or an Aumaua? Take a peek at the Pillars of Eternity Wiki to get some inspiration or clarification on the world. With all that news out of the way, let's get to the art. To kick things off this week, we'd like to show you all some of the awesome new Godlike variants Dimitri has finished up - the Death Godlike. As we've mentioned before in previous updates, the Godlike are people that were "blessed" before birth by one or more of the deities of the world. Godlike manifest their divine heritage in a variety of ways, and in the case of the Death Godlike that heritage can be seen through their wicked looking horns and the misting darkness that shrouds their visage. 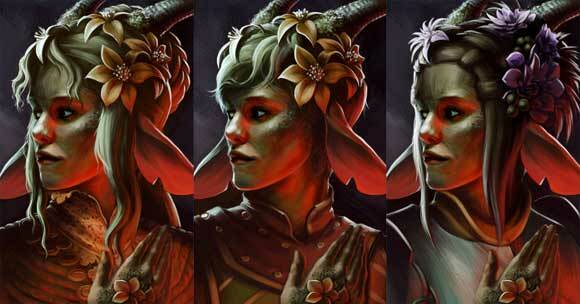 Another type, the Earth Godlike, can be seen below in some new portrait variants that Polina whipped up. 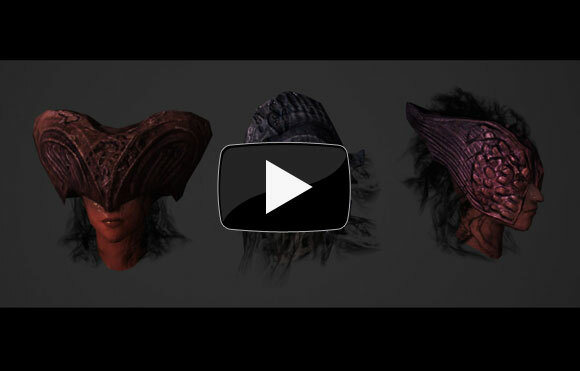 These are just a few of the combinations that will be available to use for your character during the game. The environment artists are flying through their various scenes and churning out awesome looking pieces week by week. Below you can see a cool new interior from a Blacksmith's shop by Holly Prado. Up next we have a really awesome piece by April Giron from an area called Ondra's Gift. This area is still a work in progress but we thought you all would enjoy taking a look at what we've got so far. Both of these areas have a lot of cool detail in them so make sure you view them at full resolution. In Pillars of Eternity, Druid characters will be able to shift into a few different spirit forms. Druids start with specific spirit forms and can find additional spirit forms in the world. 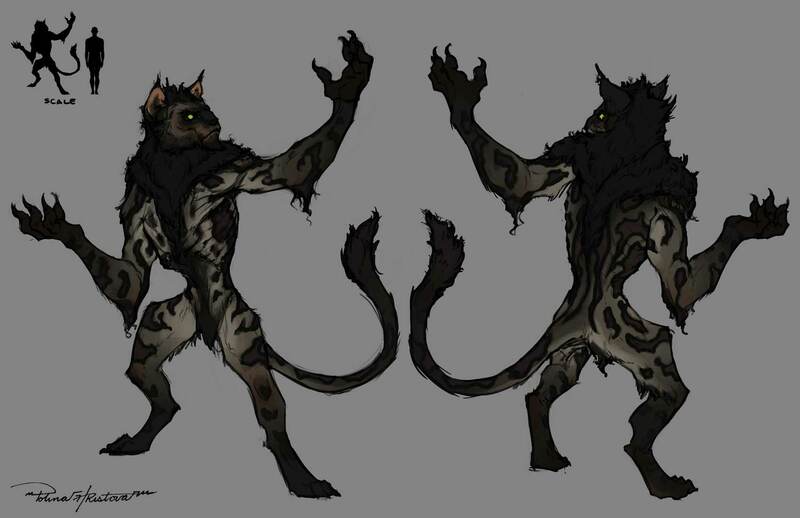 One of these forms is the Cat, shown here in a concept drawing by Polina. 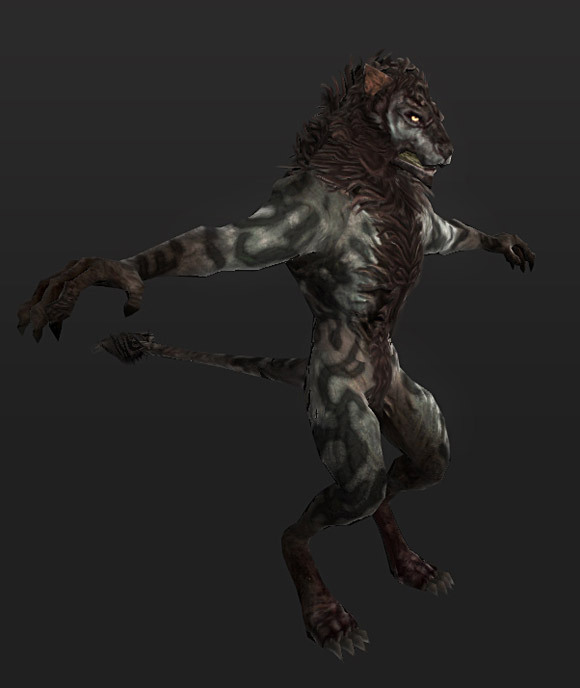 Below you can see what the Cat form looks like when modeled and textured, rendered out of our engine. Druid Cat form in engine. That's all for this week. Don't forget! 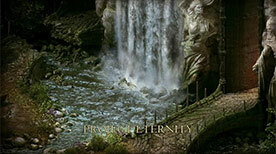 If you need to fill out a survey for any Pillars of Eternity pledges please do so on our Backer Portal by the March 31st deadline. In the meantime, keep managing those pledges and commenting on our forums.